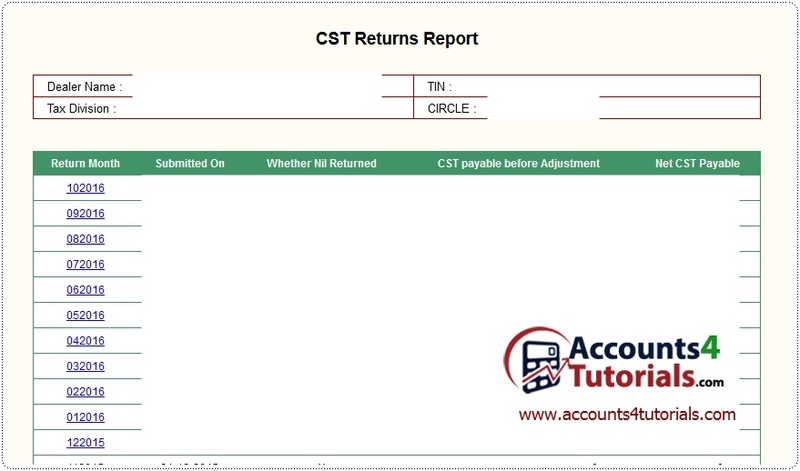 Now you can view all recent submitted CST Return details. > Form First Column, find out CST Return Month, then Click on particular month. > Click on PRINT Icon from Bottom of Right side and take print out.